I give this one 6/10. Particularly like the ' rail revolution ' ... alliteration works well in plans hey? Better effort this one 7/10. Coast Link is highlight! Well, lookee here, we have plans. Plans, plans plans ... we have plans coming out of our ears! What a pity politics intervenes so that a 20-year transport plan has a life of just three years (or less) before being ditched and another 20-year plan implemented. The result is no plan, or planning confusion, part implementation, new direction every couple of years. 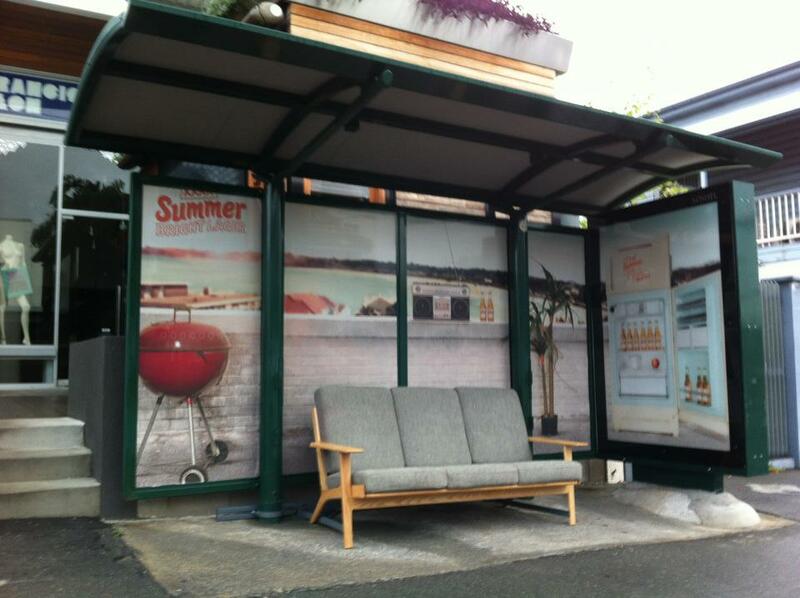 CRR become BAT becomes Brisbane Metro, becomes a bus stop outside of a new Casino. Wouldn’t it be novel if governments stuck to a 20-year plan and actually implemented it. Reports, committees, taskforces .... we lack plans that have a finance report attached. Governments like to talk about plans, but not about ways of paying for them. And there's the rub. From 'gold standard' planning to bog standard reality -- a 'world clarse' bus stop outside Brisbane's proposed new casino. We don't need more plans. It is pointless to have a 20 or 30 year plan and then throw it out after 3 years and start all over again just because the administration changed. What could be done? Issue an update or summary alteration report. Nice and small, don't have to start all over from scratch. I cannot believe that Cleveland Line solution even got up. Remember how RBOT calculated that the numbers did not even stack up with a calculator? Even the video shows it would have to drive through the Kurilpa Bridge and then somehow up over the riverside expressway again. Perhaps they were thinking of replacing the Cleveland Line with a rollercoaster? Then of course is the no ' acronym ' Bus and Train tunnel known as the ' BaT ' tunnel .. The naming competition was a highlight hey? Queensland, beautiful one day, another plan the next! Hey ? 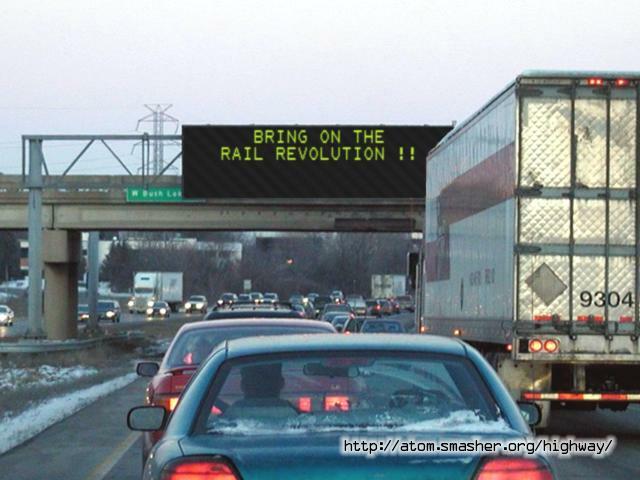 Bring on the ' Rail Revolution ' !! Oh wait ... we need a plan! Queensland Government is into creating jobs for Queenslanders -- more graphic artists and website designers for the Department of Infrastructure. A whole TAFE college must be training camera persons for government video production. Architectural graduates are set to work designing railway stations and public plazas that will never be built. They can look forward to years of frustration as each change of government sends them back to the drawing board, literally, ... and they get a gift-wrapped copy of the video upon retirement. Let's not forget the civil engineers designing imaginary flyovers and viaducts, tunnels and bridges. Those geotech guys just love doing the test drilling beneath the Brisbane River. It's a wonder their drill holes haven't drained the river into an underground aquifer. Communication degrees are popular; all those smiling people conducting public consultation. All those telephone pollsters ringing as you are trying to prepare the evening meal: "If a transport corridor was built beneath the Brisbane River, which party would you vote for." Surveyors are sent forth to determine the alignment of this busway or that railway extension through suburbs that have been built already, when their job would be that much easier had the PT corridor been set aside when the place was a greenfields development. Government assign bureaucrats to rezone low-cost sheep paddocks as residential land, so the developers can move in and sell the land back to the government for bus interchanges, schools etc -- but at residential land prices, of course. Then there are the forestry tree-fellers, clearing copses to feed the paper mills to get the gloss just right on the pages betwixed fingers of an eager public, gullible to hear the message of better public transport. The printers love it -- probably put on an apprentice using the government incentive scheme to help crank up the press to pump out the latest version of 'Our Vision for Queensland in the 22nd Century'. Spare a thought for the postie who has to rev the bike up to climb the hills, popping information leaflets into letterboxes. Ahh yes, jobs aplenty in transport. Just a pity nothing gets done. They have already perfected the art of the Transport Plan without the infrastructure. It would be foolish to give you the specifics, except to say that we will do things better. Shortly I will be announcing the appointment of a group of experts to oversee better transport solutions for Queensland, and we will be consulting industry because that is what we are about. We are an inclusive government. Unlike our predecessors, we want to listen to Queensland on these critical issues. Today I announce the appointment of Blogs to head the Committee for Action on Transport (CAT). CAT will get down to business immediately ... we cannot wait another moment until we address the critical transport issues with a realistic and comprehensive plan. This government is determined to bring about a better transport system for this great state. Today I am here to instruct the members of CAT to get down to business. We want real solutions and real results ... it is what Queenslanders expect of this government – and we aim to deliver. Today I announce the government’s ‘Partnership in Progress’ objectives. Governments don’t have all the answers when it comes to transport planning ... and we want to partner with developers and industry on getting on with the job of building this great state. And we see partnership as the key, including partnership with transport users. That’s why today, I am announcing, in addition to CAT the government will institute the Commuter Advisory Council (CAC). CAT and CAC will be my eyes and ears with industry, but also on the ground. I know you members of the media want to push me on the specifics. I am not going to make kneejerk decisions, I simply won’t. The previous mob did that, and look where that got us. We have systematically gone about putting the framework in place for this government to look comprehensively and strategically at the transport issues faced by this great state. Our Partnership in Progress plan is working and there has been positive and worthwhile work done by CAT and CAC. The government has received preliminary findings and advice from CAT and CAC, and I thank the men and women of those groups for the way they have conducted themselves in providing advice to government. Obviously, until such time as I have reviewed that advice, it would be foolish for me, as minister, to make rash decisions about projects and priorities. I have asked my department to look at the CAT and CAC reports and advise me accordingly. Look, it is important that we get this right. I can assure you that within six months, this government will spell out its complete vision for transport and for improving the problems that are obvious to all. Today I announce a cross-jurisdictional working group within government, whereby the transport bureaucrats speak with the planning bureaucrats and with the local government association – lets not forget that councils are part of the equation. Our predecessors ignored the advice of councils and mayors – just ask Paul Pisisale. ‘Transport -- Taking Us Forward’ is the bold new vision my government is announcing today. It is bold, it is comprehensive and it is doable. All we need is a squillion dollars from the federal government and we can have a connected bus network, linked to rapid rail from six new satellite cities, connecting people with jobs and allowing for a superior quality of life. We want to reduce congestion, we want to allow parents to get to work and get home faster to spend more quality time with the kids. A workforce that is more mobile is more productive. That is what this government is about. Make sure you take a copy of the media kit, with its drive-through video, glossy brochure, Q and A and background CD. The Premier and I, and other Ministers are bringing ‘Transport-Taking Us Forward’ to the people of Queensland. We will be visiting marginal electorates ... err key city and country locations, explaining what this plan is about and how it will benefit them, no matter where they live. This is a government for all Queenslanders, not just those living in SEQ. We have the vision, we have the plan and we have the commitment to deliver. Minister: See this machine, it is a drilling machine that will undertake preliminary geotech testing of the [insert name of project arising from public naming competition]. By pushing the button to start the machine, I am demonstrating that ‘Transport – Taking Us Forward’ is real and is happening. (Question from media) Obviously, I cannot answer when the project will start or be completed. That is why we are having this drilling done. Once we know the nature of the ground through which the project will be built, we will be in a better position to answer that question. Now, I can climb into the driver’s seat if you want a photo of me as a can-do minister. Premier: I am off to Canberra today to seek federal funding for the Queensland Government’s ‘Transport – Taking Us Forward’ plan. The geotech has been done on the major projects, the cross-departmental taskforce has reported back, based upon the earlier and valuable work undertaken by CAT. The people have told us what they want through the public consultation phase, public meetings in key marginal electorates err ..I mean the areas affected. My government is ready to go, we have shovel-ready plans if only the PM will give me a squillion dollars. Queensland has put $20 on the table, we now need the Commonwealth to play its part. Premier: I think we made real progress in Canberra. The PM listened. Obviously there is a way to go, but Queensland expects its fair share of whatever is going so we can get on with implementing the ‘Transport – Taking Us Forward’ plan so we can build that new railway line and those new busways we need to keep Queensland great. Minister: I call upon the state Opposition to persuade the PM to hand over a squillion dollars ... now is not the time for politics. It is a time for action ... and this government is determined to deliver for Queenlanders, if only the feds and the PM will let us. Minister: We can’t wait for Canberra to make up its mind about the squillion dollars this state needs. Today, the state government is getting on with the job. I have just turned the first sod marking the start of construction on this bus stop. Madge from the nearby retirement village has helped me turn the sod. This shows how this government listens to the people and acts to meet their requests. This project has been funded jointly by the state government and Whoop Whoop Council. We are doing out bit for Queensland, come on PM, now do your bit. I stand here today with members of CAT and CAC to relaunch ‘Transport -- Taking Us Forward’. We have completed the first stage, a bus stop, and I thank Madge from the nursing home, ... but the real task is ahead of us. As you know, ‘Transport – Taking Us Forward’ is a twenty-year plan, beyond this election cycle, with most of the expenditure to occur when I am no longer Premier and the other lot, most likely, are in power .. so it will be their responsibility to implement it. Oh, did I just say that? No (recovering composure), the other mob were bankrupt when it came to ideas on transport. We have the runs on the board, we have engaged with commuters and industry, we know what needs to be done, if only we had squillions from Canberra. ‘Transport – Taking Us Forward’ is the policy this government will be taking to the next election, which I announce. Oh now it is spreading - ' a bipartisan plan ' bet that is special hey? "QUEENSLANDER" turning into a "STRAYA ****!" wide phenomenon the way transport planning nationwide is going at the moment. Is that really going to happen as well as a mass transit metro from Toowong to Bowen Hills? It's a good plan ..
You can't have a plan too soon in the election cycle ... in case people hold you to it and expect you to implement it. Maybe we can consider a name -- that's a start. There's probably a sub-committee somewhere in government considering this right now. It can't be Connecting Queensland (Year). That is so yesterday. It has got to have a social ring ... Bringing People Together, but that could be a slogan for the Family Law Court. It could reflect a sense of doing something ... Action on Transport Plan, but that doesn't have a good acronym. Maybe Building A New Queensland (BANQ). Perhaps we need to market test the name .. and give it to those preparing the advertising campaign slogan ... 'You Can Bank On BANQ'. Bombs away! Now we are on a roll, baby. Let's get this plan moving. I'm excited! I guess I will sit right down and plan!! That's a government training video, Ozbob. How did you get your hands on that! The plan was to look for 'contraband' that fell off coalies on the curves between Goodna and Redbank. Guess I was just lucky hey? Here is a good plan from Victoria ... Doncaster rail line! PTV effort from 2012. Lots of fantasy, but as a plan, what a bottler!! Will it ever be built? < DO NOT ASK AWKWARD QUESTIONS BOB !! The plan needs some talent .... a cleanskin like Mark Webber. Ad scenario: Shot of Mark travelling at speed around a race track, comes to a screeching stop in front of the camera. Mark pulls off helmet, reaches into his pocket and produces a go-card. He looks to the camera and smiles .... 'soon you won't need a car like mine to travel fast to the Gold Coast and you no longer need to risk fines on the M1 in your own vehicle..... All you need is one of these (hold card closer to camera). It's your passport to get aboard the Gold Coast Quickie. The Quickie will get you to the Coast in under an hour -- fast, safe reliable. It's all thanks to BANQ, the government's new transport plan. Bank on a Quickie train to the Coast. Bring up music: Singing: .... So HEY We've Got To Go ....... Can You Feeeeeeeel the Speed. Written and authorised by the Queensland Government, Brisbane. Yes, one really does need to plan to plan properly. The fact that most of the grand plans never ever hit reality (get constructed) is largely irrelevant to the planning process. The planner needs to approach the planning task with the gusto reserved for a foot-long hot dog with lots of cheese and mustard. Incorporating the latest communication waffle and social media relevancy is fundamental these days. Proper consideration of trinkets and toys emblazoned with the message eg. ' BANQ ' (this might work for foot-long hot dogs - 'BANQ' dogs travel well!). Drink bottles are always popular, but they need to push the envelope with smart toys. Spinning tops with an onboard digital radio would be popular, and of course there would be the app for that which would allow the excited BANQ dreamer the option of spinning, just like the big boys with big toys, but on a more rational basis. They could infact spin the tops whilst waiting for the next train or bus. I wouldn't suggest at ferry terminals, because they might go in the drink. But they could put out spinning City Cat look alike tops that float for those brave sailors! Corker this one! Plan plan plan! Geez, Lyn Doyle must be peed off that the BaT Tunnel, which she named, won't be going ahead. I hope the government didn't cancel the gold go-card prize she got when they cancelled the project. Rail Plans Too Little, Too Late. It is now 2016, still planning. Love it, plans plans and plans ..
Must be time for a brand new plan! All the while the real plan of squashing patronage growth through higher fares to delay the need for any kind of tunnel has paid off swimmingly. Interesting comment. I have asked authorities if that was the essential reason behind the previous 5 year fare path. Denied that was the case. Either way, they have a big problem now. Rapidly escalating road congestion issues, under utilised public transport. Little hope of a real political drive to sort it eg. bus network reform for Brisbane. They continue into headlong development in transport poor situations, creating serious future transport problems. I guess we wait for the next big plan hey? Who needs Star Wars when you have this much imagination.. The plan was to start tunnels in 2012. If only we had a plan that lasted, eh. The planning is always to reschedule the last plan -- plan churning. Relaunch the new plan in the hope that folks have short memories and would have forgotten the last plan. Let's not forget STUDIES. These are to disguise the lack of planning, or the lack of action on the planning. The story goes that the former plan is so old that we now need a study to see whether circumstances have changed, or if the data needs updating. Fair, dinkum, I think governments keep paying out for studies in the hope that one will say the old plan got it wrong -- there is no need for that expensive tunnel, no need to do anything. Plan after plan says the same thing, backed by the studies. What's lacking is political will to implement the plan. It is not an issue of funding, so much as the political will. A bolshy public service pushing the case within bureaucracy would help, eh Mr Scales. Bring back the Brisbane Catapult Network, definitely one for April Fools 2016!